your hair and outfit are great!! I like the colors in the skirt...pretty! I also like how you styled the top half of this look! 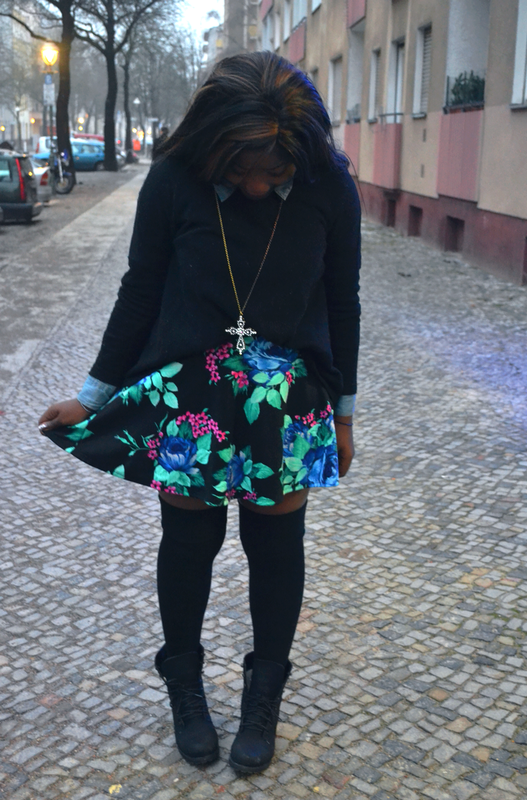 cute skirt, one of my must haves in my closet! J'adore ! :) Tu es très belle ! OMG, I'm totally smitten by your floral skirt, Diane! I looooooove this! 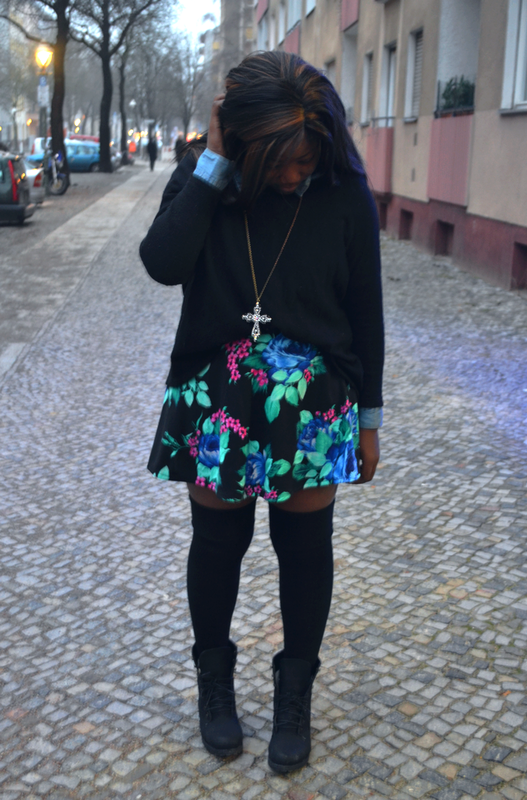 Oh dear, you look so gorgeous and the skirt is so cute, love how you styled it with! Big kiss! Love the print on the skirt! je veux ta jupe!!! t'es trop belle dans cette tenue! i have jsut discovered ur blog!